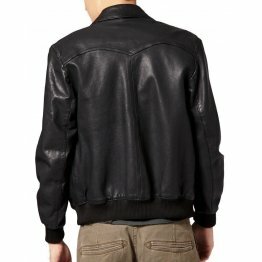 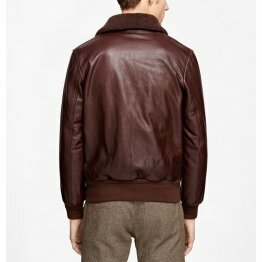 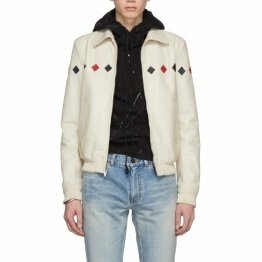 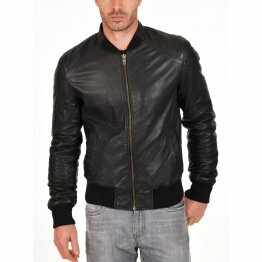 Are you looking for Men’s Leather Bomber Jackets? 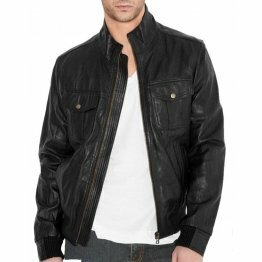 There is a wide collection for you to make your choice in leather bomber jacket men. 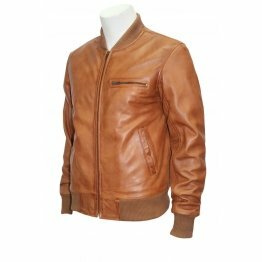 You can get them in black, olive green, khaki, brown, beige, white, green, burgundy, velvet, maroon, navy blue , dark blue and dark brown. 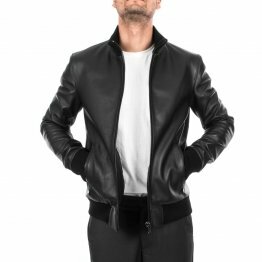 The stand collar genuine lamb bomber jacket comes with a comfortable fit and is versatile on Monday as it is on Saturday. 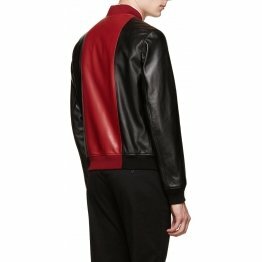 It cost just $239 and more. 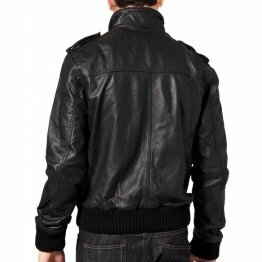 It is made of authentic leather with rib-knit cuffs. 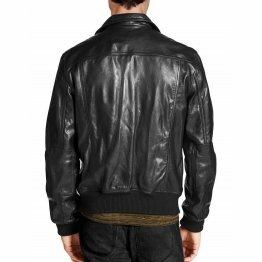 The lining of the upper part of the body is 100% cotton while the lower part of the body has lining of 55% cotton and 45% viscose.The lining of the sleeve is 100% polyester. 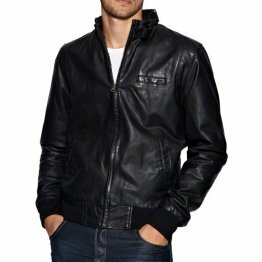 It is crafted for biker style with full zip in front, stand up collar and lining of rib-knit and rib-knit hem and two hand pockets which are open. 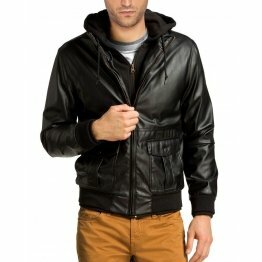 The interior is fully lined with two pockets which can be snap-closed. 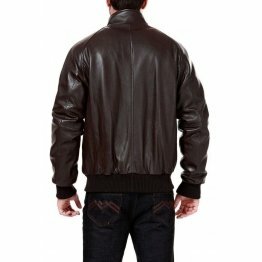 It has to be washed by professional leather cleaner. 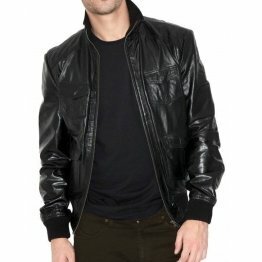 The leather bomber jacket men is tailored with zip front for hip-hugging and sleek style that is perfect for a night out. 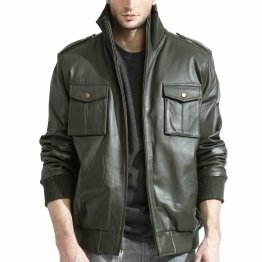 It has point collar and pockets that can warm up the hands on a cold night. 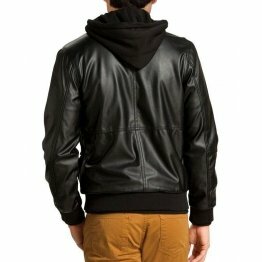 It has shell leather and welt pockets inside with lining and fill of polyester. 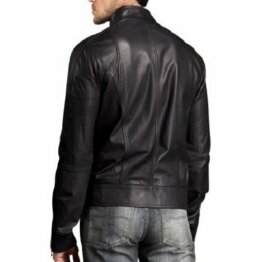 It cannot be machine washed and requires professional cleaning. 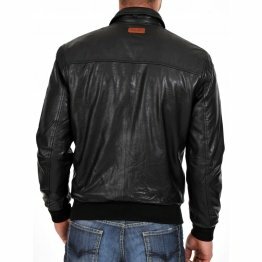 Many of the men’s fashions are closely associated with the military and leather bomber jackets are one of them. 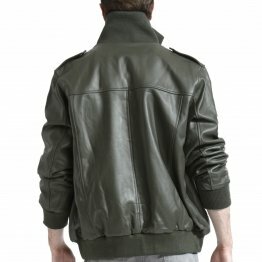 The bomber jacket for men was tailored to keep pilots warm when traveling at high altitudes before the cockpits were heated. 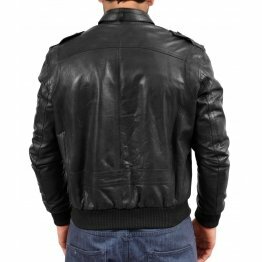 Many of the aesthetics of this jacket have changed but the classic features remain the same which include the cuffs fitted waist and loose fit on the stomach and chest. 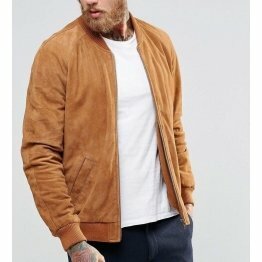 The new addition of the bomber jacket is the hood with a draw cord. 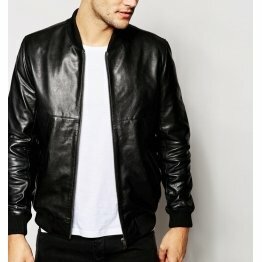 Another important addition to the bomber jacket is the puffer coat which adds a cool look and texture to the jacket. 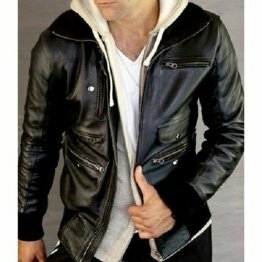 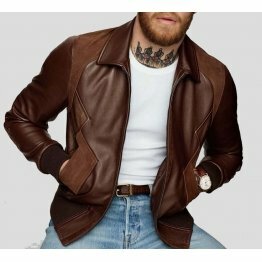 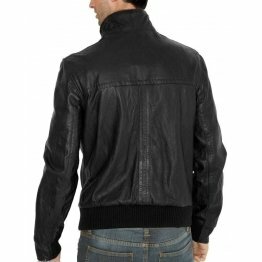 Men’s leather bomber jacket has the look of vintage leather bomber jacket that is designed for rugged coolness and will last for many years if treated with care. 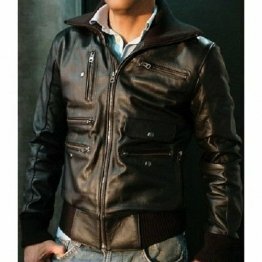 It can be worn over waistcoat and is available in black or brown color. 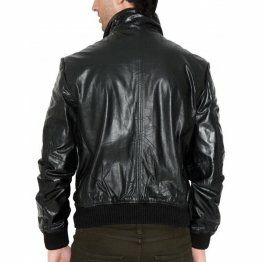 As it ages it will get a vintage look. 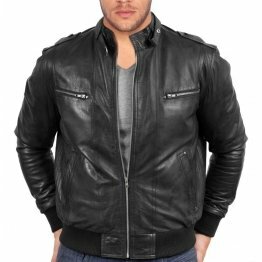 Men’s Leather bomber Jackets are ideal for business and casual work environment without violating the dress code. 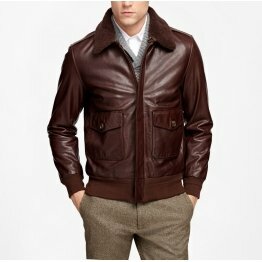 You can be striking with dress pants, dress shirt, tie and bomber jacket. 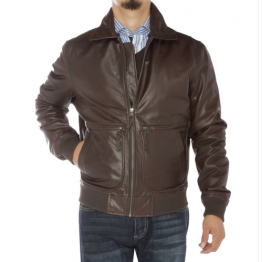 To give a more formal look, add a pair of designer aviator shades which will give you the look of a pilot. 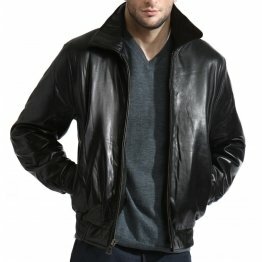 The black leather bomber jacket has a fur collar to keep warm on cold harsh winter nights. 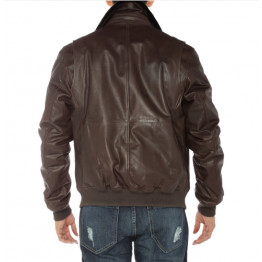 It is made from sheep nappa which is supple and soft with a sturdy zip in front which extends right up to the collar. 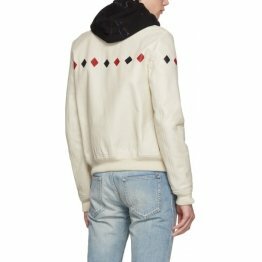 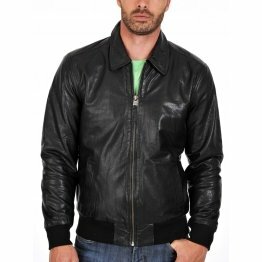 Men’s bomber jackets have rib-knit at the cuffs and hem to keep the body warm. 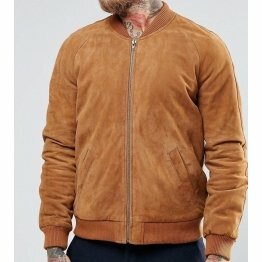 Faux Shearling Jacket in camel is perfect for the winter months with soft touch finish. 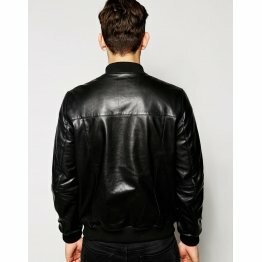 It has point collar with buckle and lining of borg. 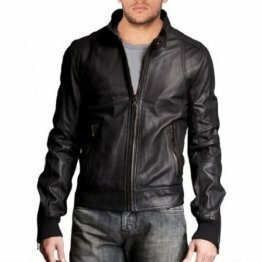 There are functional pockets and zip fastening in front. 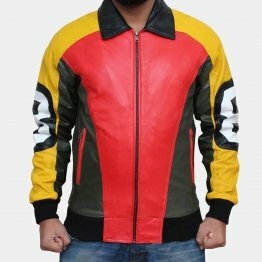 It is designed with regular fit and is 100% polyester. 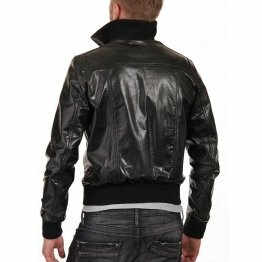 It can be washed by machine using the instructions given on the label. 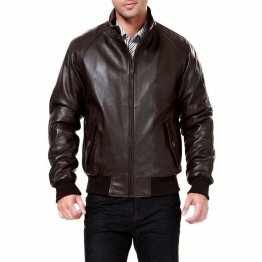 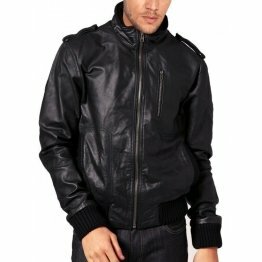 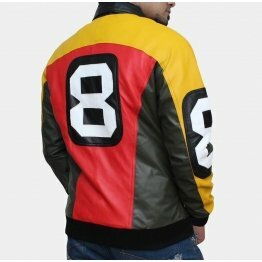 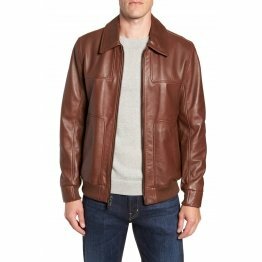 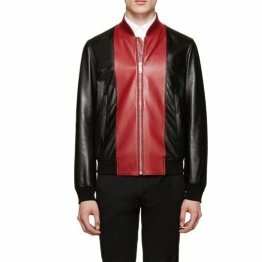 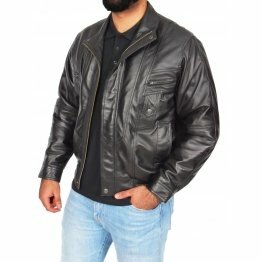 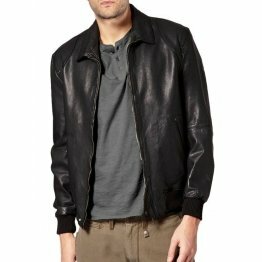 For the new season, buy leather bomber jackets for men as ZippiLeather.com has come out with the coolest products in the latest trends. 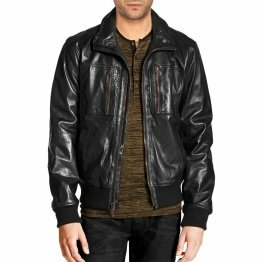 They have got everything to match motorcycle outfit which includes tees, jeans from skinny to straight and more.Leather bomber jacket men are also available in dark red and orange with patches. 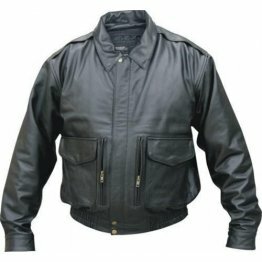 So, put on the dark red leather bomber jacket with hood and aviator shades and have heads turning your way when you ride past.